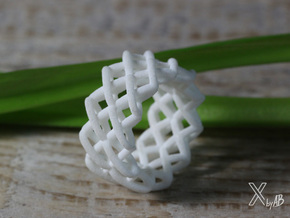 The structure of this wide Statement Ring was inspired by woven fabric. 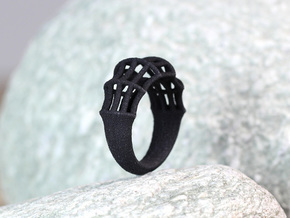 This statement ring is 3d printed strong & flexible plastic. 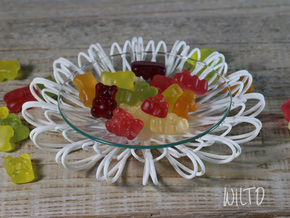 The surface of the material is perfect for the design. The black matt surface reminds on velvet itself. 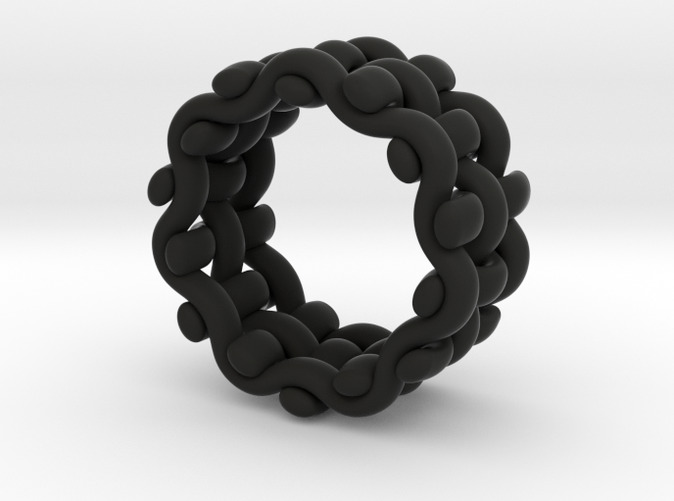 The lightness and the rounded edges make the ring very comfortable to wear. You can combine it with your day to day outfit but it's a great accessory for the next big party or maybe a special occasion like a vernissage.